In the early 1700s, the area of what is now Plymouth and Thomaston was called Northbury. In 1747, the Ecclesiastical Society of Northbury acquired four acres of land to be used for a meetinghouse, a training ground for the local militia to ward off Indian attacks, and a cemetery. This land became the center of the village of Plymouth. The present day Congregational Church was built in 1838. Eli Terry, famous clockmaker and Plymouth resident, built the wooden clockworks that still run the clock today. 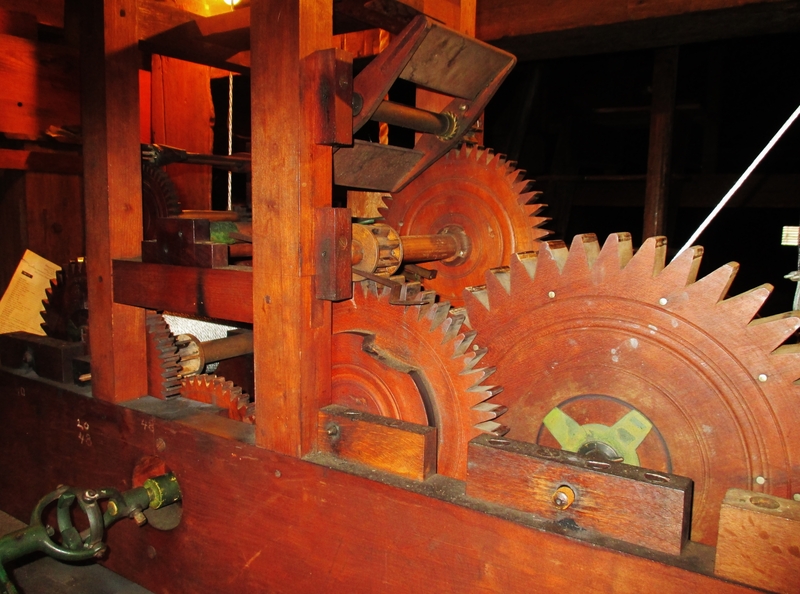 The wooden gears of the tower clock in the Plymouth Congregational Church were built by Eli Terry. Wooden clockworks built by Eli Terry. Eli Terry, early 1800s Plymouth clockmaker who revolutionized the clockmaking industry in America. 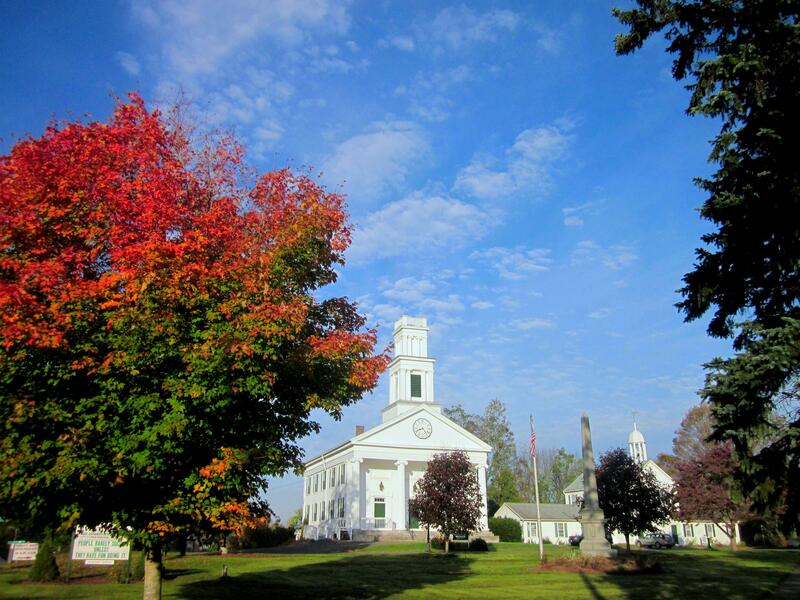 Take a stroll in the village of Plymouth Center, listed in the National Register of Historic Places. 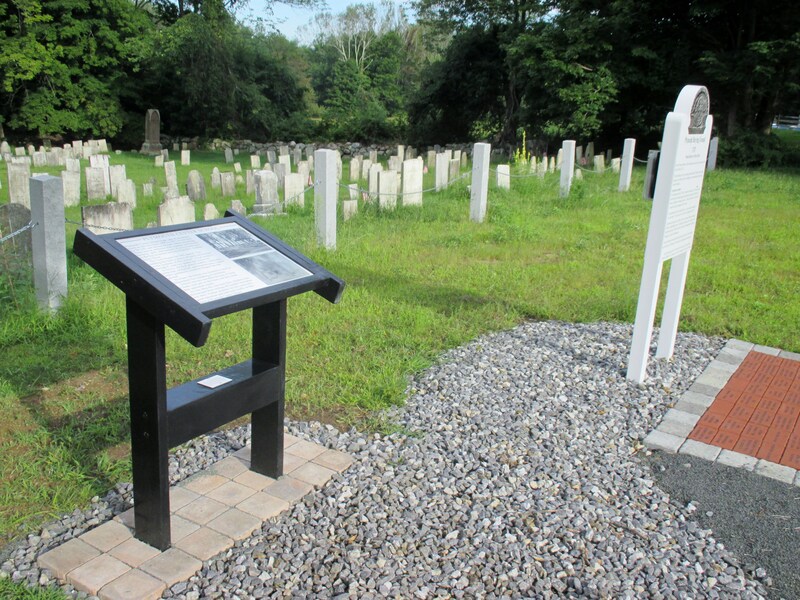 There are 38 soldiers from the Revolutionary War laid to rest at the Plymouth Burying Ground. Unfortunately, over the years, some of their gravestones have toppled, cracked and fallen into disrepair. Due to the efforts of many dedicated people, some of the stones have been unearthed after years of neglect. An example is the gravestone of Victory Tomlinson (see image below). The stone was hidden by dirt and grass until recently discovered. Victory Tomlinson served in the “Connecticut Line” during the Revolutionary War. He was also on the list of Incorporators when Plymouth became a town in 1795. He received his unique first name because he was born in September, 1760, the same month that the British Army took over Montreal, the last French stronghold in Canada, during the French and Indian War. His parents, being proud British subjects, named their son Victory to commemorate the event. Today, the gravestones of Victory and some of his fellow Revolutionary War comrades have fallen over and lie broken on the ground. GREAT NEWS! Thanks to generous donations and the expertise of Michael Angelicola, the broken monument of Victory Tomlinson was repaired in 2017! Scavenger Hunt of the Plymouth Green – for kids of all ages! Walk around the Green and learn about the history of Plymouth by taking part in the scavenger hunt! 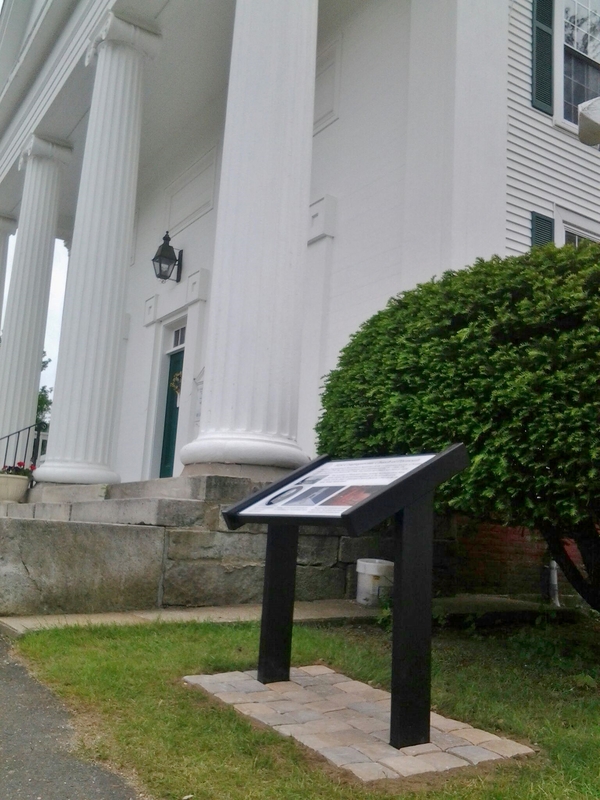 Interpretive sign installed as part of the celebration of the Congregational Church’s 275th anniversary. There are two other interpretive signs on the Green. The first sign is in front of the Burying Ground, on the site of the original Plymouth Center School. The second sign is near the intersection of Park Street and North Street, at the site of the original St. Peter’s Episcopal Church. 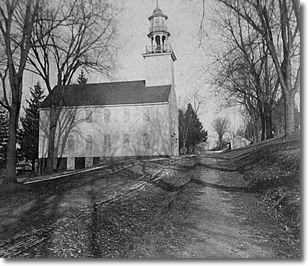 St. Peter’s Church, shown below, was built in 1796 on the northeast corner of the Green. The photo is looking up North Street from Main Street. St. Peter’s Church burned down in 1915 and was rebuilt that same year on the east side of North Street, closer to Main Street. 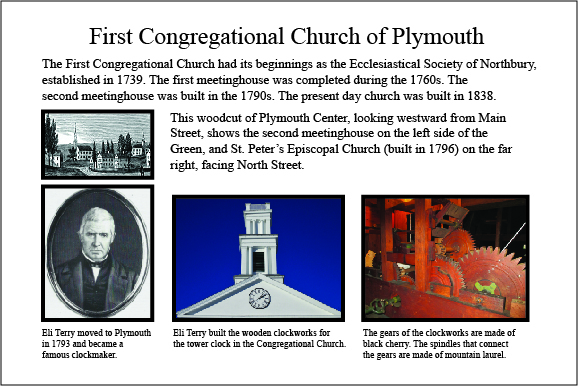 This time, it was built of fieldstone and is now the First Baptist Church of Plymouth. St. Peter’s Episcopal Church, built in 1796. DID YOU KNOW? The stone planter on the Green used to be filled with spring-fed water. It quenched the thirst of oxen and horses after they climbed the hill on Main Street coming from Thomaston. The Town report of 1901 stated that “$6 was appropriated to Addison Bunnell for care of water tub at Plymouth Center”. 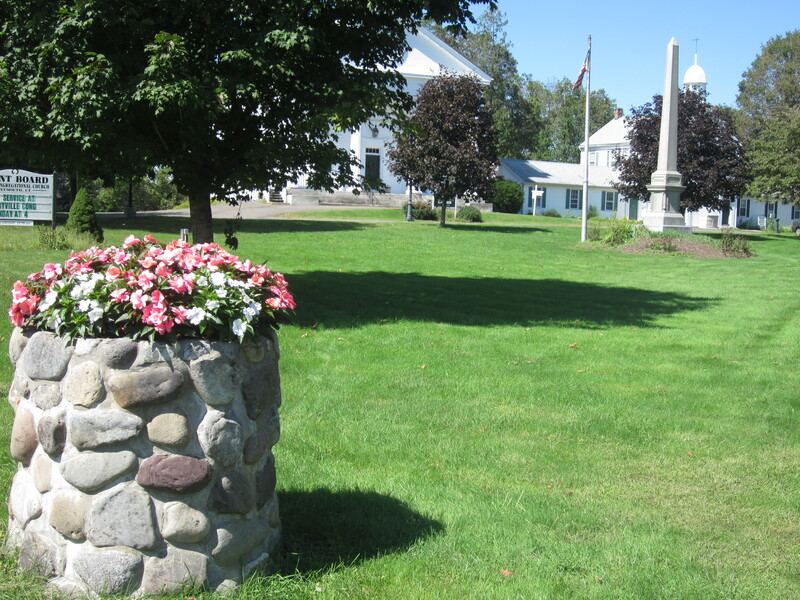 We offer one hour guided tours of Plymouth Center and the Burying Ground for seniors, youth groups, school classes, home schoolers, and historical organizations. 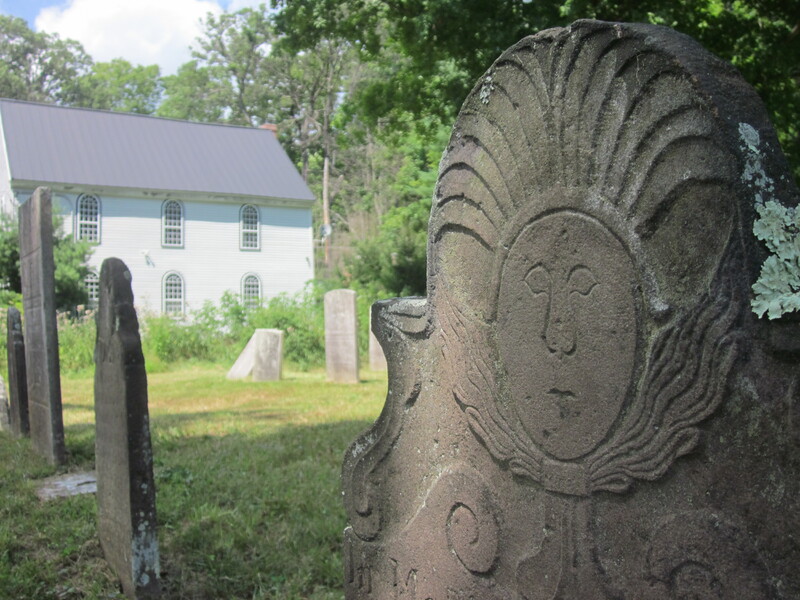 The symbolism on the gravestones provides clues to life in colonial Connecticut. We create a timeline of the early history of our country using the inscriptions of soldiers from the French and Indian War and the Revolutionary War. 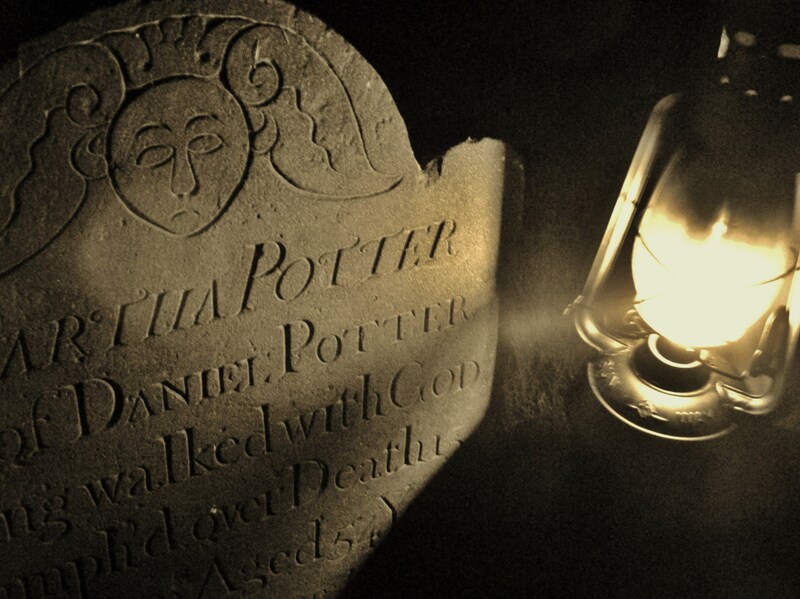 Engravings such as “died with her daughter stillborn“, “lived to bury five husbands“, “died of scald“, and “Mortals Attend and Learn Your End” make the Burying Ground a fascinating outdoor museum of early American history. Fifth grade classes have taken the tour as enrichment for Connecticut’s Social Studies colonial history curriculum. Teachers and students give it rave reviews. Lantern tours after dark are also a fun way to learn about our history. Contact us to arrange a unique tour for your group! The waterwheel is located at 264 Main Street, Terryville. It is owned by the Historical Society. 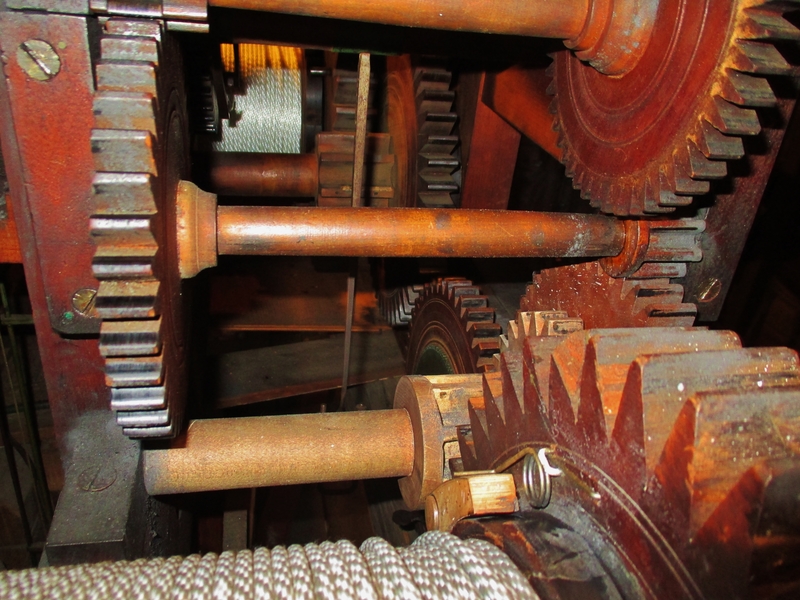 The Terryville Waterwheel is a 20-foot diameter wood and iron waterwheel of pitch-back configuration dating to 1851. The factory that it powered was destroyed about 1940, but the wheel occupies its original site on the west bank of the swift-flowing Pequabuck River on Main Street in the Terryville section of Plymouth. 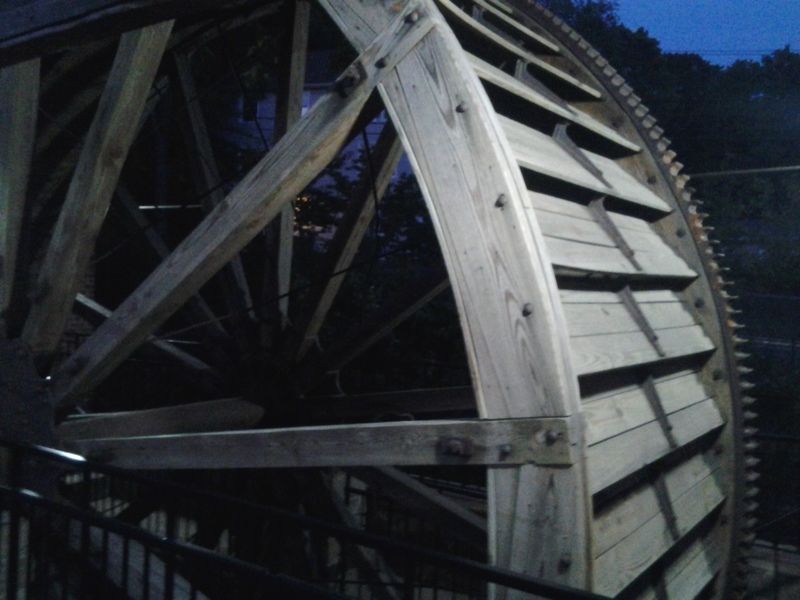 The wheel is protected by a shelter erected in 1996, the roof of which duplicates the curve of the waterwheel. The shelter has brick walls on the west and north sides and is open (except for iron railings) on the east side, facing the river, and the south side, facing Main Street. Originally, the wheel was enclosed by a small gable-roofed building attached to the main mill. 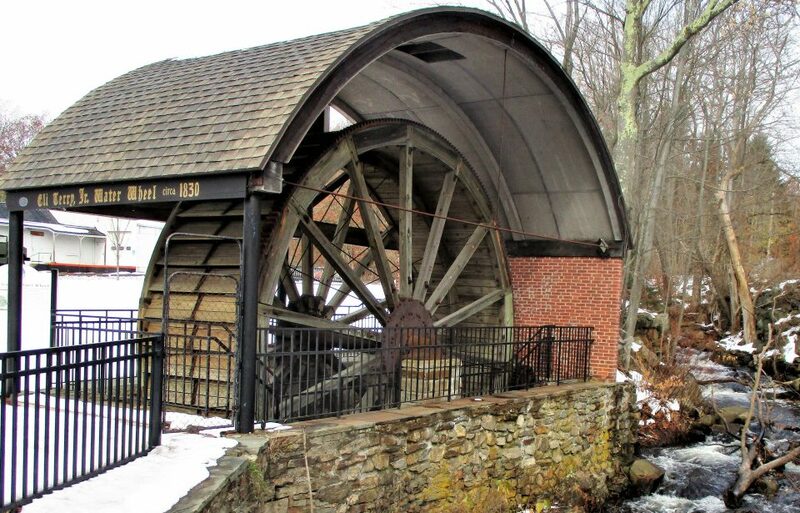 The name of the property, Terryville Waterwheel, was chosen because it best reflects its overall historical significance. Formerly, the wheel was known as the Eli Terry, Jr. Water Wheel, in the belief that it dated from the construction of Eli Terry, Jr.’s clock factory on the site in 1824. That factory, then in the ownership of the Lewis Lock Company, was completely destroyed by fire on September 21, 1851, and immediately rebuilt, presumably including the wheel. Two years later, in January of 1854, the Lewis Lock Company was merged with the James Terry & Company lock company to become the Eagle Lock Company, a company that remained a major employer in Terryville for more than a century. 1. It is an evocative monument to Connecticut’s early years of industrialization, when industries from clocks to firearms to textiles relied in whole or in part on waterpower. The consumer-oriented manufacturing that transformed Connecticut from a mostly agricultural state to one of the country’s most industrialized and urbanized societies had many roots: technological innovation, market savvy from the peddler trade and from connections to the New York City-based wholesale sector, and a goodly amount of capital from the state’s successful merchant families. One other factor was essential: the state’s many fast-moving streams and rivers provided sufficient power, at least in the early years, to operate the various innovative machinery that allowed quantity-production to take place. In many cases, the early factories took over sites that had powered the mills of the agrarian economy: grist, saw, and fulling mills, but even when entirely new sites were exploited, the state’s early manufacturing enterprises relied on the waterwheel technology that was developed by small-scale traditional mills. 2. It is a rare surviving example of a once-common type of construction, the wooden waterwheel, that was important not only for powering industry but also for advancing the knowledge and practice of civil and mechanical engineering. 3. Because so few survive, every remaining example has information value . Although it is known from published technical works what the period’s leading authorities thought about the issues surrounding the efficient exploitation of waterpower, it can only be known what occurred in practice by studying actual examples. The quiet hamlet of East Plymouth (originally called East Church) is located in the northeastern portion of Plymouth, at the intersection of East Plymouth Road and Marsh Road, near the Plymouth/Bristol town line. During the Revolutionary War, the residents of this area supported their mother country of England. They were called Tories, or Loyalists. They were faithful to their religion, the Church of England, (also called the Anglican Church). At that time, the King was the head of the Church, so it is easy to understand their feelings. They considered themselves law-abiding citizens of the British colony of America. Periodically, the local Sons of Liberty would raid the farms and homes of the Tories in East Plymouth. The women would warn the men working in the fields of the attack by blowing into a tin horn or a conch shell. 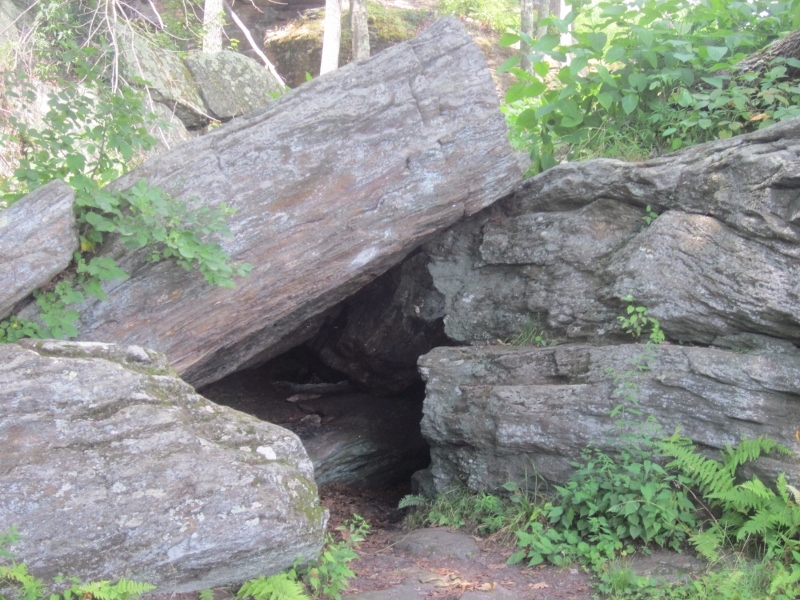 The villagers would run deep into the woods and hide in a rock outcropping known as “Tory Den”. Today, a blue- marked hiking trail (the Tunxis Trail) leads to the site. The trailhead is about 1/2-mile north of the village, and Tory Den is about 1-mile down the Trail. 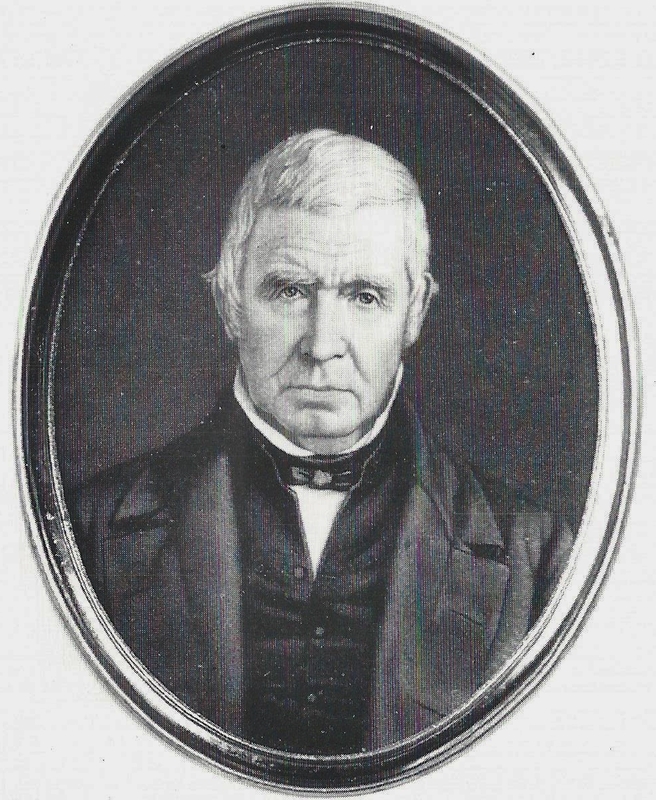 Moses Dunbar lived in East Plymouth. He was a Tory and a member of the Anglican Church. He was accused of accepting a commission as a captain in the King’s Army, and of enlisting others to do so. He was brought to Hartford where he was put on trial for high treason. Despite his offer to confine himself to his farm if allowed to go free, he was found guilty. His father, a staunch Congregationalist and supporter of the Rebel cause, was said to be willing to provide the hemp to make a noose to hang him. Indeed, Moses Dunbar was hanged on a hill near Trinity College in Hartford, the only Tory to be executed for treason in Connecticut. He left behind a wife and a young family. Shortly afterward, the death penalty for treason was repealed. After the Revolutionary War, the villagers built St. Matthew’s Episcopal Church, completed in 1794. St. Matthew’s cemetery is next to the church. The oldest gravestone dates to 1795. The Church is now a privately owned residence.